Reporting to the Production Manager, the Technical Director is responsible for all of the technical elements involved in the Chemainus Theatre Festival’s productions. The Technical Director will manage of all technical departments: Props, Wardrobe, Carpentry, Lighting, Sound, Projection and all the resources required to operate these departments. The Technical Director is responsible for ensuring that all technical needs are addressed from the planning stages (costing, budgeting, ordering, designing) to the implementation and installation of each production onstage. 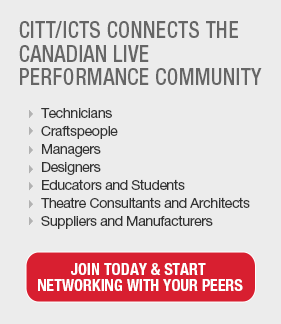 • A post-secondary education in technical theatre from a recognized institution of higher learning. • At least 3 years of job experience as a technical director at a producing live professional theatre. • Integrity, leadership, a team-centered point of view, a sense of humour, a passion for theatre arts and the ability to remain affable in high pressure, deadline driven circumstances. • Excellent self-directed time management. • Broad knowledge of theatrical procedures. • Superior communication skills, both verbally and in writing. • Proficient with Microsoft Office, particularly Outlook, Excel & Word. • A comprehensive understanding of: Vectorworks, Allen & Heath sound consoles, QLab, ETC Element lighting consoles. • Preference will be given to persons who have demonstrated experience in one or more aspects of stage design & to those holding additional certificates, including: WHMIS, Occupational First Aid Level I, LPEC, Fall Protection Training, Firearms certificate, Welding. • Additional compensation may be available for design work and as time and schedule permit.